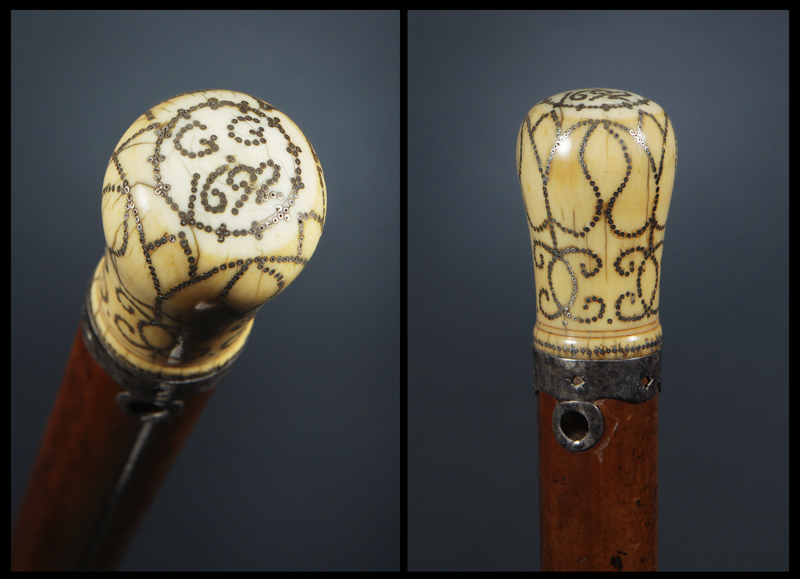 1693 English ivory pique cane. The elephant ivory knob handle is 2 1/4″ high and 1 1/4″ in diameter. A circle of silver pique on top has “1692” and owner’s initials “G. G.” within it, also in pique. The sides are decorated in large pique tulips and “C” scrolls. There is a 1/2″ scalloped silver collar with open starbursts. The shaft is thick malacca with round silver eyelets and a 2 2/3″ brass ferrule.